(b. 1882-d.1945) and Ruby (Bryarly) Minter (b.1888-d.1929). Early in Margaret's life, she and her family moved to Robstown, Texas, where she attended and graduated from Robstown High School. She went on to attend college at Southwestern State University in San Marcos, Texas, where she earned a bachelor's degree in education. Later, she earned a master's degee at Sam Houston State University in Huntsville, Texas. 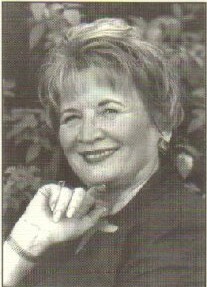 Mrs. Gleason began a 40 year teaching career in Thorndale, Texas. She came to the Cypress-Fairbanks ISD in 1961, and spent the next 33 years touching the lives of students throughout the school district. She taught at both Post and Bane Elementary Schools and served as Principal at Holbrook, Lamkin, Yeager, and Copeland Elementary Schools. Before her retirement in 1998, she had served in the District as Principal for 26 years. On November 5, 2000, the Cypress-Fairbanks Independent School District dedicated and named a new elementary school in honor of Margaret, called the "Margaret Moore Gleason Elementary School." Margaret was a member of many professional organizations, and received numerous awards and recognitions during her distinguished career. But what she is most proud of, and the highlight of her long career in public education, was her work with a group of third graders during the late 1960s. The students were nonreaders, but by year's end, they were all reading on grade-level. Teaching has a long tradition on the maternal side of Margaret's family. Her mother, Doris, was a teacher. Her mother's brother, Ralph Minter, who is now retired, was a teacher. Two of her mother's sisters, Elkin Minter (b.1909-d.1996) and Florrie Ruth (Minter) Hargrave (b.1911-d.1974), were teachers. Ruby (Bryerly) Minter, her grandmother, was a teacher, as well as two of her grandmother's sisters, Suzie (Bryarly) Gilbert and Jewel (Bryarly) Clark. And now, Margaret's daughter, Julie (Gleason) Pye, is carrying on the tradition as a high school mathematics teacher at Texas A & M Consolidated High School at College Station, Texas. Not all of Margaret's life has been just about schools and teaching. She and her late husband Tommy, who she married in 1957, had two children, Julie and Terri. Both daughters are products of the Cypress-Fairbanks ISD. Margaret also has a stepson, Randy. She also boasts of five grandchildren: Kendall and Kyle Pye; Lauren, Lindsey, and Hunter Brooke. Mrs. Gleason now lives in the Houston area. She loves to attend concerts and plays. And, another favorite activity of her's is going on tours to see beautiful gardens and scenery. Her biggest pride is, of course, her five grandchildren.